Comment: Hi, I have a very big yard in Inverness near a pond. Our yard is about 4 acres, I think. I have three goals for lawn care: 1) No harm to honey bees that we have on our property 2) No harm to our pond (or extra algea created) with any runoff of fertilizer or weed control 3) Weed control of invasive ivy/little purple flowers. Thank you! Comment: clean and clear all flower beds, bushes and lawn from leaves and any debris. Comment: I am looking for a professional to do the spring cleanup of the yard, clean gutters, aerate, fertilize, add mulch as needed. Palatine Lawn Care Services are rated 4.66 out of 5 based on 2,646 reviews of 33 pros. 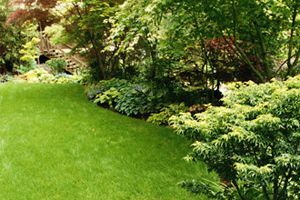 Not Looking for Lawn & Garden Care Contractors in Palatine, IL?